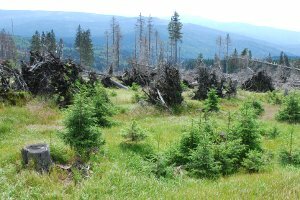 In cooperation with scientists of the Chair of Animal Ecology (TUM) and the Institute for Meteorology and Climate Research / Atmospheric Environmental Research (IMK-IFU) the phenology of forests of Germany's first national park is analysed as an indicator of changes due to climate change. Especially the population dynamics of spruce bark beetles in conjunction with biotic and abiotic factors (light, temperature, humidity, wind, and CO2) are studied - thereby the main focus is a windthrow area infested by bark beetles (storm "Kyrill" in 2007). In addition, a terrestrial phenology camera system will be developed, which captures daily updated phenological data.